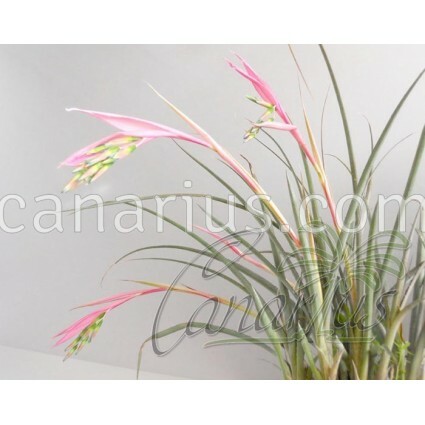 This is a wild-collected clone of an uncommon frost-hardy bromeliad, which is suitable to temperate to cool-tropical conditions. It has beautiful arching silvery leaves, finely toothed and forms tight clumps , bearing delicate flowers with showy pink bracts. This is a wild-collected clone of an uncommon frost-hardy bromeliad, which is suitable to temperate to cool-tropical conditions. It grows wild by the Iguazu Falls of Brazil and Argentina. 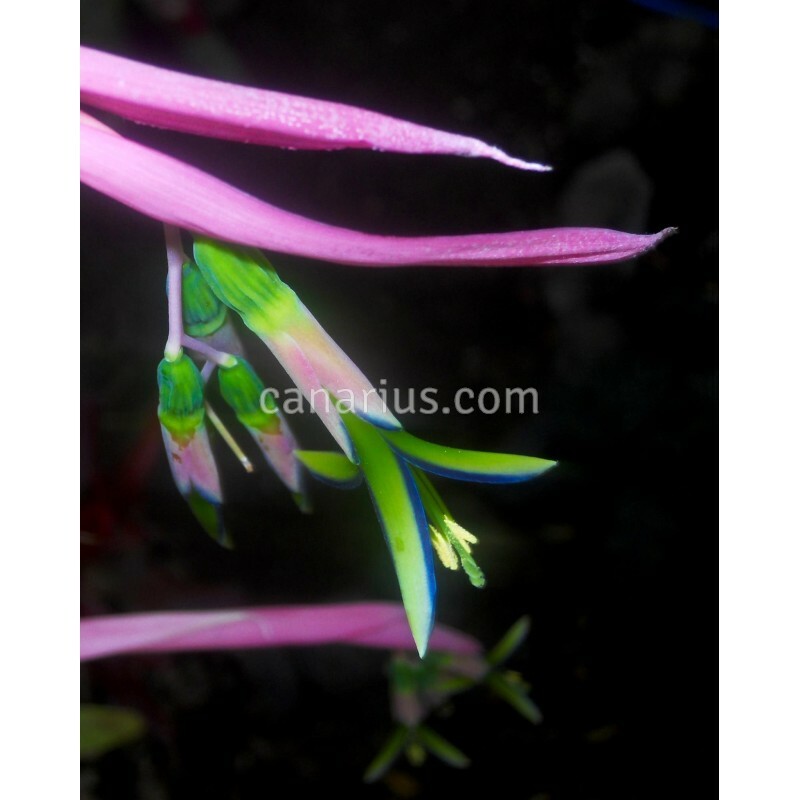 This form of Billbergia nutans var. minor has beautiful arching silvery leaves, finely toothed and forms tight clumps that grow perfectly in epiphytic conditions or basket. 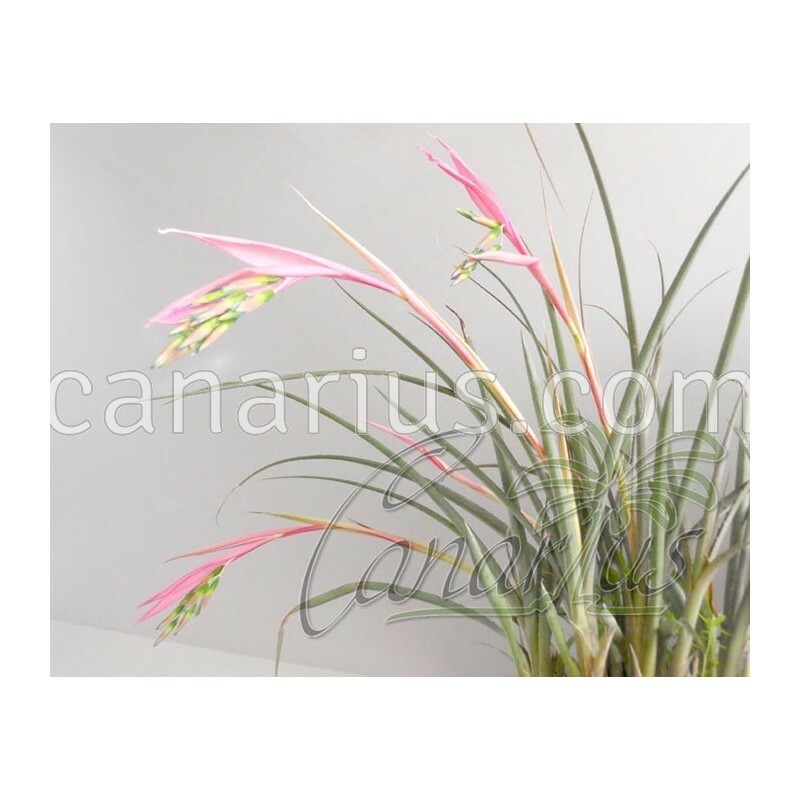 It bears delicate flowers with showy pink bracts in January or February. They are short-lived, as in most billbergias, but if the clump is large enough, the blooming season can last almost two months.